b. 28 May 1759, 2nd s. of William Pitt†, 1st Earl of Chatham by Lady Hester Grenville, da. of Richard Grenville† of Wotton, Bucks. educ. privately by Rev. Edward Wilson; Pembroke, Camb. 1771; L. Inn 1778, called 1780. umn. PC 10 July 1782; chancellor of Exchequer July 1782-Apr. 1783; first ld. 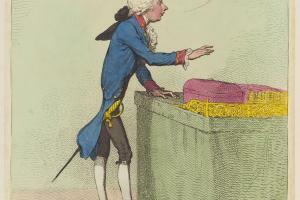 of Treasury and chancellor of Exchequer 19 Dec. 1783-14 Mar. 1801, 10 May 1804-d.; member of Board of Trade Jan. 1786. High steward, Camb. Univ. 1790; masster, Trinity House 1790-d.; ld. warden, Cinque Ports Aug. 1792-d.; col. Cinque Port vols. and Trinity House R. vol. artillery 1803-d.
William Pitt was in 1790 only 31 years of age, and at the height of his power. He had concluded triumphantly his first full Parliament as prime minister, was the dominant orator in the House of Commons, and enjoyed ascendancy in his cabinet and the favour of a grateful and subdued monarch. After riding the Regency crisis, the only real threat to his ministry once it had so surprisingly survived its first week, he had become ‘the only object the nation can perceive’.1 His position was indeed a special one: he believed that there was ‘no wisdom in establishing general rules or principles in government or policy’,2 and in his chosen task of restoring national finances and checking abuses in government he lent his authority to inspired expedients of the kind he had learnt in pupillage to Lord Shelburne. He would in some respects have been content to see these develop into a system, particularly so in the case of the sinking fund scheme for the redemption of the national debt, but the war with revolutionary France, which he was unable to obviate, demanded fresh devices. Nobody else seemed worth attending to excepting Pitt who seems to have made up his mind to going all lengths; he was at least abundantly warlike. It seems to me that Pitt is daily adding to the superiority he has acquired over Fox whom he treated last night with something very much resembling flippancy. Pitt contrived to postpone the next meeting of Parliament until January 1794. On 7 Dec. he had been lectured by Burke and Windham on the need for commitment to French royalism and for an expedition to France, in preference to playing Austria’s game in Flanders and to his father’s buccaneering policy of capturing West Indian islands, but neither this, nor some awkward overtures to Lord Spencer in the preceding month to go to Ireland, brought the two parties together: Loughborough was ignored and Pitt, Grenville and Dundas remained the effective ministry. Even so Pitt submitted the King’s speech to the ‘third party’ for discussion and it was also publicly endorsed by Portland on the eve of the session.19 When Pitt went on to concede in the debate on the address, 21 Jan., that even if the war was a defensive one there was no treating with the present regime in France, and a restored monarchy, though not a sine qua non, was the most likely basis for an armistice, the parties were drawing appreciably nearer. The address was carried by 277 votes to 59. The failure to hold Dunkirk and Toulon were glossed over as the consequence of war against an ‘armed nation’, 3 Feb.: not being one, Britain must make do with German troops and subsidized allied forces, which in his budget of 5 Feb. Pitt felt confident the nation could afford. The priority for Britain was the maintenance of sea power, which did not prove difficult; continental alliances were a commitment ‘only so far as relates to its own defence’. Voluntary subscription and the embodiment of a national militia for home defence were a corollary of this and were proposed on 26 Mar. 1794, as was the enlistment of an émigré corps in April. This was the gist of Pitt’s riposte to a series of critical opposition motions in the spring of 1794, when they could seldom muster 50 votes in their support. Pitt’s speech was magnificent, and the impression of it upon the House beyond anything that I ever witnessed. His declaration respecting the possibility of treating with the new government seemed to take a weight off people’s minds and set them a shouting with approbation—and the necessity of stipulating vigorously for good terms of treaty was heard, and felt apparently, with but one heart throughout the House (the 59 gentlemen in opposition excepted). The failure to purchase peace from the French at or after the Lille negotiation in the summer of 1797 was a blow to Pitt, the most pacific member of his cabinet. To this was added his private grief at the death of his brother-in-law Edward James Eliot* and a further bout of ill-health. Henry Addington always maintained that it was at this time that Pitt told him he must be prepared to take his place. When Parliament met in November, however, Pitt was able to justify the failure of the peace negotiation in detail, and his war budget of 24 Nov. which tripled the assessed taxes was its corollary, as was his insistence that the Bank could not resume cash payments during war. His theme was that there could be no peace without security and that the country was under threat of invasion. Pitt had ‘many more applauses than hisses’ on his way to the thanksgiving at St. Paul’s for the naval victories, 19 Dec., although the orthodoxy of his evident belief that ‘God, who governs the world by his Providence, never interposes for the preservation of men or nations without their own exertions’ was questionable.28 His triple assessment had a difficult passage, as did his scheme, introduced on 2 Apr. 1798, to raise funds by land tax redemption. Nor did loyalty loans and voluntary contributions meet his needs. that for several years (three years back) so many concessions ... had been made, and so many important measures overruled, from the King’s opposition to them, that government had been weakened exceedingly, and if on this particular occasion a stand was not made, Pitt would retain only a nominal power, while the real one would pass into the hands of those who influenced the King’s mind and opinion out of sight. Mr Pitt was professor of oratory in the House of Commons, and financier but all the other parts of the business were directed and managed by underlings—George Rose, Sir Evan Nepean and others. Pitt was never minister beyond what I have first mentioned—Scotland and India, Dundas ruled and fed the one with the other. Pitt had the largest understanding of any man he had ever known. He could anatomize any subject that came under his consideration and see all its parts; and so completely comprehend and retain in his mind, a just view of it, as to be able to return again to it without requiring a second consideration. by disposition extremely indolent, as much so as C. Fox. He would sleep for 10 or 12 hours. He did not begin business till 12 or 1 o’clock in the day. In business he never attended to details, other persons went through that part, and he only took the results. But his mind was so quick that he saw through everything ... we discussed and settled [affairs of State] either in our morning rides at Wimbledon, or in our evening walks at that place. On 16 Mar. 1801 Pitt seated himself ‘four or five seats behind the Treasury bench’, the most aloof of souffleurs, and began to adopt the pose of an accomplished idler, which he at first enjoyed. Wilberforce thought his ‘magnanimity unparalleled in a politician’, but Canning and others found his game, poised as he was between friends in and out of office, too refined to be understood. On 25 Mar., settling ‘in the third row immediately behind the Treasury bench’ and still canvassing his recalcitrant friends to join government, Pitt made his apologia for his resignation. He admitted, without revealing his pledge to the King, that he could not carry Catholic relief as a minister, upheld the royal prerogative and called for support for Addington’s ministry: as for the war, he reminded opposition that ‘we have not lost ... a single foot of territory; and we have given to the rest of the world many chances of salvation’. For the rest of the session he came to the defence of war and security measures undertaken when he was in power, such as the Egyptian and Copenhagen expeditions and the prevention of sedition, but he privately encouraged Addington to secure an armistice, primarily for financial recuperation. When peace preliminaries were signed at the end of September, Malmesbury commented, ‘Pitt counselled, and, of course, directed the whole’; it was he who prevented the Foreign secretary Hawkesbury from consulting Lord Grenville. Out of office, it would seem that he at last had a government he could depend upon. Both privately and publicly (3 Nov. 1801), he defended the peace preliminaries, with provisos about Malta and the Cape, as ‘on the whole advantageous and certainly very creditable to the country’; Fox concurred, while Grenville and Windham took the offensive against them, an ominous rift which Pitt made only a token effort to repair, knowing his cousin’s obstinancy. Dundas and Canning swallowed their objections to humour him. Dundas, writing as if Pitt were a manic depressive like his father, reported, 17 Nov. 1801: ‘He is either in a garret or a cellar’. Certainly, like his father from 1762-6, he confined himself to abstract measures and was indifferent to his fellow men, thereby courting failure on his return to office. With peace achieved and Fox competing with him in support of a pacific administration, he was expected by the cynics to quarrel with Addington and return to power waiving Catholic relief: but his sense of character forbade it—he considered himself, willy nilly, pledged to Addington, even in the unhappy position of being his secret and shabbily treated adviser, an ex-minister going ‘out of fashion’, not least in his constituency. Thus he resisted his friends’ evidence of Addington’s ungratefully exploiting his support and concurred in ministerial tactics—such as overtures to individual Whigs—which were thought uncongenial to him, to retain influence over Addington in the financial sphere. Since he averted his eyes from the King, it was behind his back that his friends manoeuvred for the King’s good opinion of him. whether in or out of place, whether in or out of favour, he will be always the most considerable man of his country, as long as he adheres to the line of strict duty, without regarding any personal consequences whatsoever. It is affecting to behold a life terminated as it were in its prime, and it is sorrowful indeed to think that the powerful voice of eloquence, so matchless, so beautiful is dumb for ever ... Mr Pitt’s faults as an Englishman and statesman, were, that he came into place against the constitution and supported himself in place by increasing the power of the throne. As a statesman he was chiefly brilliant as a financier—in war he was a bad leader—not from his own want of power but from his trusting too much to incapable individuals. But his eloquence was so great he could explain even any disaster into almost the contrary—his choice of words was perfect, his voice beautiful, and his way of putting aside the question when he chose, and fascinating the minds of men, astounding. For fifteen years I have found my income dwindling away under his eloquence, and regularly in every session of Parliament he has charmed every classical feeling and stripped me of every guinea I possessed. At the close of every brilliant display an expedition failed or a kingdom fell, and by the time that his style had gained the summit of perfection Europe was degraded to the lowest abyss of misery. God send us a stammerer, a tongueless man, let Moses come for this heaven-born Aaron has failed. Mr Pitt had foibles, and of course they were not diminished by so long a continuance in office; but for a clear and comprehensive view of the most complicated subject in all its relations; for that fairness of mind which disposes a man to follow out, and when undertaken to recognize the truth; for magnanimity, which made him ready to change his measures, when he thought the good of the country required it, though he knew he should be charged with inconsistency on account of the change; for willingness to give a fair hearing to all that could be urged against his own opinions, and to listen to the suggestions of men, whose understanding he knew to be inferior to his own; for personal purity, disinterestedness, integrity, and love of his country, I have never known his equal. The Times, 17 Mar. ; Harewood mss, Canning to Rev. Leigh, 30 Mar. 1801; Life of Wilberforce, iii. 20; Glenbervie Diaries, i. 174, 180, 205, 269, 275, 295; Malmesbury Diaries, iv. 51, 53, 59, 347; Wellesley Pprs. i. 140; W. L. Clements Lib. Pitt letters, Pitt to Rose, 1 Oct. 1801; SRO GD51/1/64/1; 51/1/556/17; Wilberforce Pprs. 30; PRO 30/8/102, f. 174; Dacres Adams mss 11/1; HMC Fortescue, vii. 49, 54, 55; Lansdowne mss, Ord to Petty, 6 Dec.; Tomline mss, Rose to bp. of Lincoln, 12, 22, 27 Nov., 10, 29 Dec. 1801; Add. 48222, f. 142. 2. Glenbervie Diaries, i. 152. 3. PRO 30/12/17/2/35, E. to J. Law, 16 May 1804. 4. PRO 30/8/186, f. 75; Farington, ii. 78, 259. 5. Moore Mems. ed. Russell, iv. 76, 269; Table Talk of S. Rogers ed. Bishop, 77; D. M. Stuart, Dearest Bess, 133-4. 6. Stanhope, Pitt, ii. 53. 7. Geo. III Corresp. i. 644. 8. Minto, i. 373; Twiss, Eldon, i. 205; Life of Wilberforce (1838), i. 286. 9. Geo. III Corresp. i. 635; Stanhope, 74-75. 10. J. Ehrman, ‘The Younger Pitt and the Oczakov Affair, 1791’, Hist. Today, July 1959. 11. Morning Chron. 9 Apr. 1791; Malmesbury Diaries, ii. 441; Stanhope, ii. 115-18. 12. Bland Burges Pprs. ed. Hutton, 174. 13. E. Suff. RO, Tomline mss, Rose to bp. of Lincoln, 30 Dec. 1817. 14. Pellew, Sidmouth, i. 88; Geo. III Corresp. i. 751. 15. Add. 45728, f. 136; 51705, Pelham to Lady Webster, 28 May 1792; Minto, ii. 23, 29, 42, 45, 53; PRO 30/8/102, ff. 178, 222; Twiss, i. 212-13; Wentworth Woodhouse mun. F31/2; Malmesbury Diaries, ii. 460; Powis mss, Keene to Powis, 28 July 1792; Geo. III Corresp. i. 711, 774. 16. W. L. Clements Lib. Pitt letters, Pitt to Dundas, 15, 17, 18, 25, 26, 27, 28 Nov. 1792; Geo. III Corresp. i. 807; Harewood mss, Canning to Rev. Leigh, 12, 19 Dec. 1792. 17. Sinclair Corresp. i. 87; Geo. III Corresp. i. 819; ii. 836, 838. 18. Minto, ii. 121, 127, 150; Lansdowne mss, Wycombe to Lansdowne, 18 June; Fitzwilliam mss, box 45, Portland to Fitzwilliam, 23 Sept. 1793; J. T. Stoker, W. Pitt et la Revolution Française 1789-93 (Paris 1935), 1; Pellew, i. 103-4; Twiss, i. 260. 19. Pellew, i. 107; Add. 37844, ff. 17-21; 42058, f. 128; 51706, Pelham to Lady Webster, 7 Dec. 1793; NLS mss 11138, f. 42; Glenbervie Diaries, i. 14. 20. Geo. III Corresp. ii. 1070, 1091; Add. 37844, ff. 22, 24, 26; Wentworth Woodhouse mun. F31/13, 15, 19; PRO 30/8/102, f. 224; 157, f. 172; Portland mss PwF7705; J. H. Rose, Pitt and Napoleon, 109; HMC Fortescue, ii. 595, 597; SRO GD51/1/24/2. 21. Pellew, i. 121; Bland Burges Pprs. 261; Geo. III Corresp. ii. 1110, 1156, 1161, 1170; Auckland Jnl. iii. 252; Ashbourne, Pitt, 173-4, 204-5; Glenbervie Diaries, i. 36; W. L. Clements Lib. Pitt letters, Pitt to Dundas, 12 Oct. 1794; PRO 30/8/102, ff. 264, 266; 170, ff. 163, 167-9; 325, f. 60; Stanhope, ii. 289; Camden mss C123/2, 3; O 103. 22. Geo. III Corresp. ii. 1180, 1185, 1198, 1247, 1250, 1255; Farington, i. 85, 90; Glenbervie Diaries, i. 45; B. Connell, Whig Peer, 310; Life of Wilberforce, ii. 85; Camden mss C269/1. 23. Rose, 37, 254-6; Life of Wilberforce, ii. 86; Pellew, i. 157; Connell, 326; Mrs. Montagu ed. Blunt, ii. 319; Harewood mss, Canning to Mrs. Leigh, 28, 31 Oct. 1795; Geo. III Corresp. ii. 1333, 1340. 24. Camden mss C132/1, 224/2; Canning and his Friends, i. 65; Rose, 79. 25. Geo. III Corresp. ii. 1446, 1450, 1452, 1480, 1487; Camden mss C121/3; 132/3; Connell, 392-3; Farington, i. 181-2; Burke Corresp. ix. 174, 178. 26. Rosebery, Letters relating to Love Episode of Wm. Pitt (1900); Glenbervie Diaries, i. 120; Farington, i. 194, 200; Auckland Jnl. iii. 377-8; Grey mss, Grey to Bigge, 23 Feb. 1797; Geo. III Corresp. ii. 1502, 1507, 1509, 1517, 1519, 1521; Burke Corresp. ix. 241, 269, 300; The Times, 24 Mar. ; Harewood mss, Canning to Rev. and Mrs Leigh, 18, 24, 25 Mar. 1797; Camden mss C226/4. 27. Geo. III Corresp. ii. 1526, 1546, 1566; Ailesbury mss diary, 9 Apr. 1797; Colchester, i. 104-5. 28. Leveson Gower, i. 175; HMC Fortescue, iii. 378; Malmesbury Diaries, iii. 369; Life of Wilberforce, ii. 417; Minto, ii. 408; Pellew, i. 183, 192, 196; Wellesley Pprs. i. 47-48; Ashbourne, 349. 29. Geo. III Corresp. iii. 1664, 1674, 1678, 1729; W. L. Clements Lib. Pitt letters, Pitt to Mornington, 26 Jan. 1798; Farington, i. 229; Pellew, i. 203-6; Malmesbury Diaries, iv. 503; HMC Fortescue, iv. 187; PRO, Dacres Adams mss 2/26; Life of Wilberforce, ii. 269, 281-2, 422-3; NLS mss 11052, f. 63; Wellesley Pprs. i. 60, 64. 30. Castlereagh Corresp. i. 404, 412; ii. 9; PRO 30/8/325, f. 26; Minto, iii. 27-29; Pellew, i. 215; ii. 198-9; Add. 37416, f. 31; Geo. III Corresp. iii. 1877, 1881, 1885; Farington, i. 259. 31. Geo. III Corresp. iii. 1911, 1914, 1922; Trinity Coll. Camb. mss R4 57/16; Auckland Jnl. iv. 87; Minto, iii. 48. 32. Canning and his Friends, i. 148; Harewood mss, Canning to Rev. Leigh, 31 May, 6 June; Add. 38191, f. 245; Chatsworth mss, Lady E. Foster jnl. 7 Feb.; W. L. Clements Lib. Pitt letters, Pitt to Dundas, 4 Nov., 22, 31 Dec. 1799, 11 Jan. 1800, to Mornington, 6 Nov. 1799; The Times, 5 Feb. 1800. 33. Castlereagh Corresp. i. 278, 283-6; Wellesley Pprs. i. 129, 132; Farington, i. 293; W. L. Clements Lib. Pitt letters, Pitt to Dundas, 25, 26, 27 July; Sidmouth mss, Pitt to Addington, 29 Sept., 8 Oct. 1800; Geo. III Corresp. iii. pp. xv, 2264; Glenbervie Diaries, i. 167, 174. 34. Geo. III Corresp. iii. intro. 2263, 2276; HMC Fortescue, vi. 371-2; Add. 51744, Lady Holland to Caroline Fox, [Oct.]; The Times, 5, 7 Nov. 1800; Leveson Gower, i. 289; Glenbervie Diaries, i. 167, 320, 389, 400, 415; Corresp. of Lady Williams Wynn, 63; Bull. IHR, xliv. 239; Croker Pprs. ed Jennings, ii. 340; Malmesbury Diaries, iv. 4, 20-23, 75. 35. Glenbervie Diaries, i. 124; Malmesbury Diaries, iv. 1-2; Minto, iii. 202-3. 36. Colchester, i. 44; Farington, i. 137. 37. Pellew, i. 338-9; Camden mss C224/2; Glenbervie Diaries, i. 159, 181, 200, 262, 277, 294-5; Rose Diaries, i. 302, 305; Add. 45038, f. 1; PRO 30/12/17/2/35, E. to J. Law, 16 May 1804; Malmesbury Diaries, iii. 521, 590; Minto, ii. 390. 38. Glenbervie Diaries, i. 128, 149, 337; Farington, iii. 291; v. 162; Pellew, i. 89. 39. Farington, i. 71, 171; ii. 237, 283; iv. 56, 70, 94; Lonsdale mss, Mulgrave to Lowther, 1 Apr. 1804; Staffs. RO, Hatherton diary, 27 Oct. 1818; Glenbervie Diaries, i. 150, 296, 326; Rose, 94, 105; Twiss, i. 498-9; Wilberforce Pprs. 71; Malmesbury Diaries, iii. 590; Life of Wilberforce, ii. 327; Table Talk S. Rogers, 54; Ward, Letters to ‘Ivy’, 157; Holland, Mems. Whig Party, ii. 35. 40. Life of Wilberforce, i. 40; iii. 490; Farington, i. 138, 146, 160, 243; iii. 14, 162, 170; iv. 42, 146, 252; v. 162; vi. 138; viii. 8, 97; Leveson Gower, i. 8, 14, 125, 169; Minto, i. 238; Raikes Jnl. iii. 119; Holland, i. 96; ii. 42; Creevey Pprs. ed. Maxwell, i. 260; Glenbervie Diaries, i. 189-90; Rose Diaries, ii. 259, 290; Wellesley Pprs. i. 190; Add. 47565, f. 16;, lt;em>Wilberforce Pprs. 45, 69-72; Greville Mems. ed. Strachey and Fulford, v. 168; Jnl. of Mrs Arbuthnot, i. 13; Pellew, i. 72; Malmesbury Diaries, iii. 583; iv. 37; Jnl. of Hon. H. E. Fox, 32, 337. 41. Mrs Montagu, ii. 290; Farington, vi. 135; Mems. Lady Hester Stanhope, ii. 74; Holland, i. 71; Bucks. RO, Grenville mss, D56/1, Ld. to T. Grenville, 3 Aug. 1801; Burke Corresp. ix. 121; Essex RO, Sperling mss D/DSE/3, Northumberland to Brogden, 3 Feb. 1799; Malmesbury Diaries, iii. 590; iv. 53. 42. Farington, i. 79, 86, 181; iii. 76, 139; v. 196; Table Talk S. Rogers, 76; Pellew, i. 91, 152; Wilberforce Pprs. 45; Glenbervie Jnls. 94. 43. Tomline mss, Rose to bp. of Lincoln, 21 July 1801, 30 Dec. 1817; Rose Diaries, i. 333, 338, 402-8, 416, 424; Dacres Adams mss 4/18; end of inscription on Guildhall statue (written by Canning). 44. Pellew, i. 288, 331; Chatsworth mss, Duchess of Devonshire jnl. 7, 9, 10, 11, 12, 13, 14, 22, 25 Feb., 2, 17 Mar., 5 Nov. 1801; Ashbourne, 309, 315, 319; Geo. III Corresp. iii. 2339n; Wellesley Pprs. i. 135; Minto, iii. 198, 201; Castlereagh Corresp. iv. 17, 34, 51, 52; Canning and his Friends, i. 126; Harewood mss, Canning to Rev. Leigh, 7, 9, 16 Feb., 20 Mar. ; Bodl. Eng. lett. c. 60, Yorke to his mother, 11 Feb. 1801; Add. 33107, f. 27; 34716, f. 74; Colchester, i. 246-60; Rose Diaries, i. 297, 311, 317, 325-6, 329, 335, 360, 426; Frere mss, Canning to Frere, 1 Mar. 1801; Leveson Gower, i. 291, 294, 296; Ashbourne, 316, 318n; Malmesbury Diaries, iv. 5-6, 8, 9, 14, 17-31, 34, 37, 40, 42, 44, 45; Carlisle mss, Huskisson to Carlisle, 1 Mar. 1801; Glenbervie Diaries, i. 159, 215; Lonsdale mss, Westmorland to Lowther, 14 Mar. 1801; HMC Carlisle, 733; PRO 30/9/33, Abbot diary, 15 Mar. 1801. 45. Rose Diaries, i. 432-7, 441-4; Add. 38833, f. 61; PRO 30/29/8/2, ff. 179, 190; Leveson Gower, i. 314-15; Buckingham, Court and Cabinets, iii. 191; Pellew, i. 489, 491; Bathurst mss, Bathurst to Ryder, 4 Mar. .
46. Spencer mss, Grenville to Spencer, 16 Mar. 1802; Buckingham, iii. 190, 194, 195; Malmesbury Diaries, iv. 64-68. 47. Add. 37844, f. 288; 38833, f. 81; Carlisle mss, Canning to Morpeth, 27 Apr. 1803; Canning and his Friends, i. 189, 190, 194; Life of Wilberforce, iii. 37; Wilberforce Pprs. 31; Dacres Adams mss 4/71, 74; Harewood mss, Canning to Rev. Leigh, 1 June 1802. 48. Leveson Gower, i. 337-8, 357, 360, 368, 370; Minto, iii. 251, 260-1, 263, 265, 267, 271; Glenbervie Diaries, i. 320, 333; Add. 41852, ff. 124, 126, 132; 51799, Fitzpatrick to Holland, 23 Feb. 1803; Pellew, ii. 70, 75, 86-87, 102, 108, 112; HMC Fotescue, vii. 126, 128; Lonsdale mss, Ward to Lowther, 13 Nov.; Tomline mss, Rose's memo, Nov. 1802; Malmesbury Diaries, iv. 75, 85, 94-136, 146-9, 154-5, 158, 161, 163-5, 167, 170, 174; Chatsworth mss, Duchess of Devonshire to ? [Dec. 1802]; Rose Diaries, i. 451, 466, 485-518; ii. 6-15, 21-28; W. L. Clements Lib. Pitt letters, Pitt to Rose, 16 Dec. 1802, 11, 28 Jan., 8, 9 Mar. 1803; Buckingham, iii. 211, 214, 219, 242, 251, 262; Glos. RO, Redesdale mss C7, Abbot to Redesdale, 16 Dec. 1802; D. Marshall, Rise of Canning, 230-1; PRO 30/8/119, f. 213; Grey mss, Tierney to Grey, 4 Dec. 1802, Grey to his wife, 26 Mar. .
49. Pellew, ii. 114-29; Sidmouth mss, Melville to Addington, 22 Mar. 1803; Buckingham, iii. 282; Rose Diaries, ii. 30-40; Malmesbury Diaries, iv. 176, 224; Colchester, i. 414-17; Minto, iii. 281-4; HMC Fortescue, vii. 157-61; Creevey’s Life and Times, 18; W. L. Clements Lib. Pitt letters, Pitt to Melville, 12, 13, 14 Apr. ; Grey mss, Grey to his wife, 19, 20, 30 Apr. 1803; Dacres Adams mss 4/97. 50. Buckingham, iii. 266; Malmesbury Diaries, iv. 227, 254-6; Minto, iii. 287; Colchester, i. 418, 423, 424; Harewood mss, Canning to Rev. Leigh, 24 May 1803; Romilly, Mems. ii. 105; Creevey Pprs. i. 14-15; Life of Wilberforce, iii. 93; Marshall, 247; Grey mss, Grey to his wife, 13, 17, 20, 21, 24 May 1803; Farington, ii. 101; SRO GD51/1/64/3, 4; 51/1/130; Sheridan Letters ed. Price, ii. 196; W. L. Clements Lib. Pitt letters, Pitt to Melville, 19 June; Add. 51736, Caroline Fox to Holland, 31 May, 2 June . 51. HMC Fortescue, vii. 169; Harewood mss, Canning to his wife, 20, 26, 27, 30, 31 May, 2, 4, 7, 8 June 1803; Malmesbury Diaries, iv. 260-3; Farington, ii. 107; Grey mss, Whitbread to Grey, 3, 13 June 1803. 52. Grey mss, Whitbread to Grey, 22 June; Add. 51736, Caroline Fox to Holland, 27 June; Pellew, ii. 197; Malmesbury mss, Canning to Malmesbury, 14, 22 July, 4 Aug., Malmesbury to Canning, 2 Aug. 1803; Colchester, i. 431-2; SRO GD51/1/63/10; 51/1/71/1; Lonsdale mss, Mulgrave to Lowther, 22 July, 25 Aug. 1803; Life of Wilberforce, iii. 113; Stanhope, Notes and Extracts, 9; Leveson Gower, i. 434-5. 53. Dacres Adams mss 4/107; Rose Diaries, ii. 42-66; Add. 35703, f. 234; 41852, f. 188; 47565, f. 110; 47566, f. 182; Lonsdale mss, Long to Lowther, 6 Oct., Mulgrave to same, 13, 20 Nov. 1803, 19 Feb. 1804, Ward to same, 11 Nov., 10 Dec., Camden to same, 31 Oct., 15 Nov. 1803; SRO GD51/1/74; Marshall, 254-7; Creevey Pprs. i. 20; Leveson Gower, i. 441-2; HMC Fortescue, vii. 203, 211-14; Carlisle mss, Canning to Morpeth, 19 Jan. 1804; Minto, iii. 305; Glenbervie Diaries, i. 366, 368; Colchester, i. 477, 481; HMC Bathurst, 32; Malmesbury Diaries, iv. 288. 54. W. L. Clements Lib. Pitt letters, Pitt to Melville, 16 Feb. 1804; SRO GD51/1/64/6; Stanhope, iv. 139, 145, 148, 150; Leveson Gower, i. 446-7; Marshall, 260-4; Harewood mss, Canning to his wife, 29 Feb., 10 Mar. ; Minto, iii. 306-7, 315, 317; Lonsdale mss, Ward to Lowther, 16 Mar. 1804; Jackson Diaries, i. 183; Glenbervie Diaries, i. 371; Add. 37415, f. 193; 40102, f. 133; Grey mss, Grey to his wife, 7, 9, 20 Mar., Fox to Grey, 28 Mar., 2 Apr. 1804; J. H. Rose, Life of Wm. Pitt (1923), 498; Colchester, i. 496-7. 55. Twiss, i. 438-49, 453-4; Grey mss, Grey to his wife, 2, 4, 5, 7, 8, 10, 11, 17 May 1804; Rose Diaries, ii. 113-32; Lord Mahon, Secret Corresp. connected with Mr Pitt's return to Office in 1804; Malmesbury Diaries, iv. 293-305, 307-9, 319, 231-3, 326; Colchester, i. 498-508; Minto, iii. 324-6, 334, 337, 339, 346, 347, 355; HMC Bathurst, 34-41; J. W. Derry, Pitt, 145; HMC 3rd Rep. 221; Glenbervie Diaries, i. 375; Add. 37415, f. 202; 51598, memo [by Leveson Gower, May]; Spencer mss, Grenville to Lady Spencer, 10 May 1804; Buccleeuch mss 70/1273; Ward, 23, Creevey Pprs. i. 28; Creevey's Life and Times, 21; PRO 30/8/146, f. 72. 56. Malmesbury Diaries, iv. 316, 328; Grey mss, Grey to his wife, 9, 11, 12 June 1804; Glenbervie Diaries, i. 379; Geo. III Corresp. iv. 2884; Minto, iii. 346, 347, 355; Colchester, i. 518, 519, 522; Windham Pprs. ii. 240; Add. 34715, f. 215; Spencer mss, Lady to Ld. 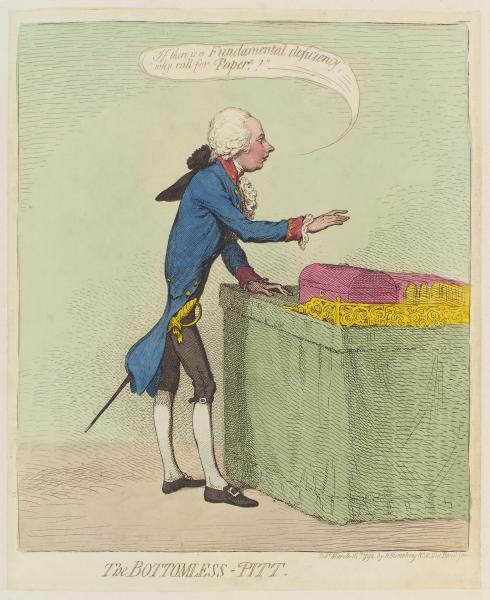 Spencer, 31 Aug. 1804; Buckingham, iii. 370. 57. Windham Pprs. ii. 243; HMC Fortescue, vii. 237-42; Colchester, i. 528-9; Twiss, i. 473; Leveson Gower, i. 476; Add. 47565, ff. 133, 135; Carlisle mss, Grenville to Carlisle, 14 Nov. 1804; Prince of Wales Corresp. v. 1972. 58. Colchester, i. 532-3; Creevey Pprs. i. 31; Sheridan Letters, ii. 234; Pellew, ii. 329; Sidmouth mss, Addington to Bragge Bathurst, 3 Jan. 1805; Dorset RO, Bond mss D367, Jekyll to Bond, 15 Dec. 1804; PRO 30/8/119, ff. 64, 66; 30/29/6/2, f. 53; 30/29/6/5, f. 905; Lonsdale mss, Long to Lowther, 1 Jan., Ward to same, 3, 8 Jan. 1805; Add. 47581, ff. 167-8. 59. Malmesbury Diaries, iv. 314; Camden mss C244/3; Lonsdale mss, Ward to Lowther, 31 Jan. 1805; PRO 30/29/384; 30/70/4/246; Harrowby mss, Bathurst to Harrowby, 27 Jan., 2 Feb. [12 Feb.], Eliot to same, 4 Feb. 1805; Windham Pprs. ii. 375; Ashbourne, 351-2; Leveson Gower, ii. 25, 28, 34, 49-51, 53; Rose Diaries, ii. 82-92; Geo. III Corresp. iv. 2978, 3012, 3014. 60. Perceval (Holland) mss 11, f. 7; Lansdowne mss, Bute to Petty, 1 Nov. 1804; Leveson Gower, ii. 51; Colchester, i. 544, 546-8, 551-2, 556; Add. 35716, ff. 25, 43, 57; 35718, f. 85; 35737, f. 130; 38241, f. 130; Lonsdale mss, Ward to Lowther, 9 Apr. 1085; Ward, 27; Life of Wilberforce, iii. 218, 224-5; Creevey Pprs. i. 34, 35; Camden mss C226/5, 237/1; Sidmouth mss, Sidmouth to Addington, 28 Apr. 1805. 61. Add. 35706, f. 257; HMC Bathurst, 48, 49, 499; Sidmouth mss, Sidmouth to Addington, 7 July; Harrowby mss, Bathurst to Harrowby, Sun. [14 July]; Grey mss, Whitbread to Grey, 12 July; Lonsdale mss, Camden to Lowther, 4 Oct. 1805. 62. PRO 30/8/140, f. 177; Add. 35645, f. 151; 35716, f. 123; 47565, ff. 143, 145, 153; 47566, ff. 213, 263; 51799, Fitzpatrick to Holland, 7 Sept. ; HMC Fortescue, vii. 281-97, 302-8; Harewood mss, Canning to his wife, 11, 15, 17 July; Grey mss, Fox to Grey, 12, 16 July; Fitzwilliam mss, box 67, Fox to Fitzwilliam, 1 Aug., 11 Nov.; Lonsdale mss, Lowther to Camden, 8 Oct. 1805. 63. Colchester, ii. 17, 24; Pole Carew mss CC/L/38, Rashleigh to Pole Carew, 10 Oct.; Kent AO, Stanhope mss 735/4, correcting the text publ. by Stanhope of Pitt’s speech, 9 Nov. 1805; Malmesbury Diaries, iv. 339-41, 344, 346; Farington, iii. 136, 145. 64. Leveson Gower, ii. 54, 58, 157, 175; Add. 31230, f. 65; 35706, ff. 272, 316; 35760, f. 112; 38833, f. 183; Rose Diaries, ii. 91; Marshall, 288; Creevey Pprs. i. 73; Grey mss, Grey to Fox, 5 Jan., Creevey to Grey, 7 Jan. 1806. 65. Tomline mss, bp. of Lincoln to his wife, 15 Jan.; Holland, i. 207; ii. 35; Stuart, 134; Chatsworth mss, Duchess of Devonshire to Hartington [begun 20 Jan. 1806]; Sydney Smith Letters ed. N. C. Smith, i. 112; HMC Fortescue, vii. 191-2; Life of Wilberforce, iii. 249; v. 73; Greville Mems. i. 267; Croker Pprs. ii. 86.